Dont forget to use the CX3 code for your discount. Filter Fetch is a Florida Indoor AIr Quality Solutions recommended service that delivers professional grade filters directly to your home. Just log, in select your filter size, thickness, MERV rating, and you'll have filters delivered directly to your home. Why Use IAQS Filter Fetch? In addition to fast free filter delivery, FilterFetch customers receive automatic filter change reminder emails and friendly toll-free support from filter experts. 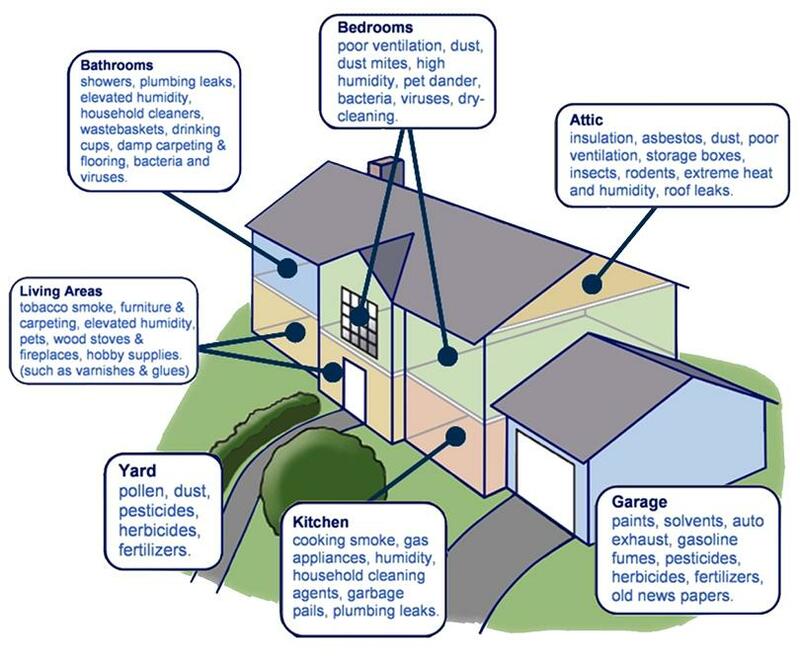 To improve air quality in Florida, the biggest benefits come from controlling indoor sources of air pollutants. If you control sources, the next thing you need to do is collect and remove indoor pollutants (particulates) mechanically at the A/C system. When determining which filter to purchase it is important to understand how filters are rated. Most filters will have a MERV rating a Minimum Efficiency Reporting Value. MERV 8 pleated filters are an ideal upgrade from standard disposable panel filters. Pleated filters use a finer mesh, which catches smaller particles. Because the finer mesh also creates more resistance to air flow, the surface is "extended" to offer more surface area for air to pass through which does not restrict the air flow. Pleated filters are one to six inches thick. One or two inch filters will fit in the filter rack of most air handlers. MERV rated filters greater than MERV 8 are more effective, but may require modification to allow for a thicker filter with increased surface area or duct modifications to prevent damage to the air handler due to restricted air flow and increased condensation. Wherever higher efficiency air filtration is desired to remove pollens and allergens restriction to air flow while providing high efficiency must be taken into consideration. Aways check with your AC service provider and equipment manufacturer before using a filter with a MERV rating above MERV 8. MERV ratings are used to rate the ability of an air conditioning filter to remove dust from the air as it passes through the filter. MERV is a standard used to measure the overall efficiency of a filter. Higher MERV ratings mean fewer dust particles and other airborne contaminants pass through the filter. 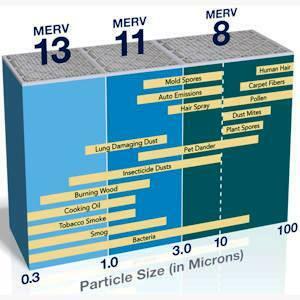 MERV ratings are determined by adding particles of varying sizes (1-12) into a controlled testing environment. The particles are added upstream of the test filter and a laser particle counter samples the air before it enters the filter and after it leaves the filter. The two particle counts are compared to calculate the Particle Size Efficiency of the tested filter. Once this is determined, a MERV Parameters chart is used to determine the MERV rating. 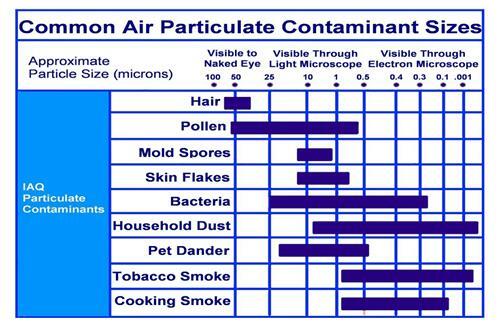 Some of the most common filters found in residential use only have a merv rating of 1 to 4. These are typically disposable panel type filters and do not do a good job of filtering the air because they will not stop particles smaller than 10 microns. MERV 5 to 8 rated filters are a better choice and are more commonly found in commercial applications. 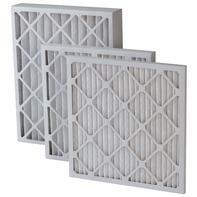 These filters will collect particles as small as 3 microns and are a good choice for home owners also. MERV 8 is more efficient when compared to standard pleated filters and has a high dust holding capacity that does not sacrifice air flow. 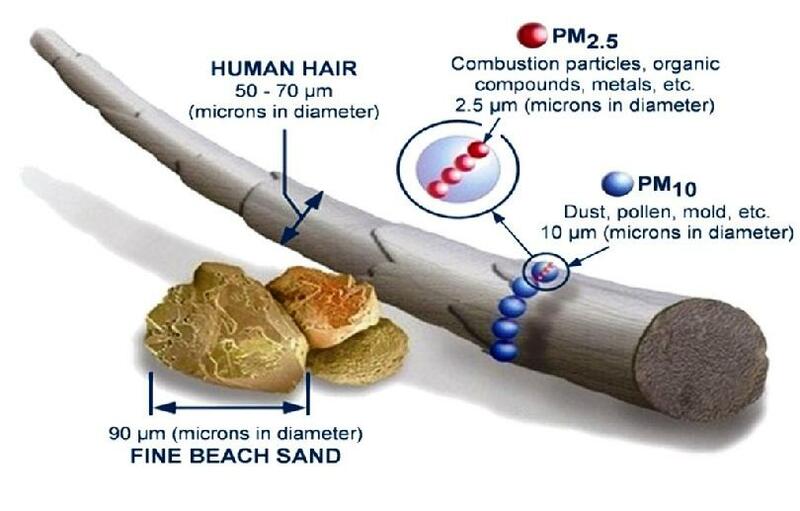 Filters with a MERV rating of 9 to 12 will stop particles in the 1 to 3 micron range. These filters are a great choice for home owners who want the best dust control possible. When using filters with MERV 9 ratings and above it is important to clean or replace them when recommended by the manufacturer because they will have a negative effect on air flow when they become dirty. This can lead to performance problems and decreased operating efficiency. For this reason it is important to check with your AC service provider and equipment manufacturer before using a filter with a MERV rating above MERV 8. The most efficient filters have MERV ratings of 13 to 16 and will stop particles as small as .3 microns. These filters are used in hospitals and other super clean environments. The table above is a guide to filter efficiency. Electrostatic furnace filters are not listed in the table because they do not have MERV ratings. Air resistance and resistance are terms more commonly used to rate electrostatic filters. Furnaces and ventilation systems: Make sure that furnaces and ventilation systems are properly maintained, and that you replace filter screens as often as recommended by the manufacturer. All combustion appliances, including furnaces, should be inspected by a qualified technician yearly. Cooking: Turn your exhaust fan on when you are cooking, and especially when frying. Woodstoves: Choose properly sized woodstoves and make sure that the doors close tightly. Have your chimney cleaned yearly, too. Smoking: Don't allow people to smoke indoors because particulate matter levels increase with every smoker in the building. Clean: Use your HEPA vacuum cleaner regularly.